Drinking alcohol in America seems to be the thing to do. With an alcohol industry that’s rocketed into the tens of billions of dollars and always rising, it’s clear that adults are tipping glasses of beer as a regular part of their lives. For them, alcohol is a social drink, a nice addition to dinner or a chance to have a good time. At the same time, health experts are becoming increasingly concerned about the tendency to overdo it—especially for females. Americans need to learn how to cut back and drink in moderation, or their habits could cost them. This alcohol problem is so big, in fact, that a recent study showed a 61 percent increase in emergency room visits between 2006 and 2014. The results published in the journal Alcoholism: Clinical and Experimental Research have stumped its researchers. While ER visits showed a stark increase, researchers only saw a rise in overall drinking by a tiny 2 percent. You would think the two numbers would correlate. So then why are more people going to the hospital? They may simply be participating in reckless drinking, but not more drinking across the board. Interestingly, the number of ER visits for women were higher than the number of visits for men, meaning that more women are trying to prove themselves at the bar too. Due to these findings, the authors concluded, “Increased utilization of evidence-based interventions is needed.” Their research incorporated data from over 900 hospitals in 33 states and Washington, D.C. Since drinking alcohol is such a widespread activity, you might not always respect its limits. You should remember that its dangers go well beyond how much you can handle before getting tipsy. The brain – As you drink, alcohol can actually cause changes in the brain and interfere with normal thought processes and movement. This effect doesn’t just happen right after a drink either. Over time, the changes can become more permanent. Immune system – Overdrinking can weaken your immune system for up to 24 hours, making you more susceptible to diseases and infections. If you overdo it habitually, you have a greater likelihood of contracting illnesses like the flu or pneumonia. Liver – You may already know about the possibility of cirrhosis for chronic drinkers. However, you may also be at risk for developing fatty liver disease, alcoholic hepatitis and fibrosis. Cancer – Did you know that drinking increases your risk for cancer? Especially if you’re drinking too much, alcohol can cause inflammation in the body. A few types of cancer you may be more at risk for: esophagus, throat, liver, mouth and breast cancer. Heart – Another extremely important organ in the body that alcohol can directly affect is your heart. Even overdrinking on one occasion can bring about cardiac arrhythmia, cardiomyopathy or stroke. In addition to realizing these potential problems, you need to have open and honest conversations about your habits with your doctor. Your doctor should know how much and what kind of alcohol you commonly consume so that he can let you know about any interactions with medication. Also, he may warn you about other health issues if you’re drinking excessively and connect you with professional help if needed. In order for you to drink moderately, you need to know the limits. You should follow the recommendations outlined by medical professionals, rather than going by your instinct on how much alcohol you can handle. To drink in moderation, women should only consume about 1 drink per day, and men should only consume 1 or 2. In addition, the NIAAA recommends limiting a woman’s total drinks per week to 7 and men’s total drinks to 14. To stay below the limits of excessive drinking, women should not consume more than 3 drinks in one day, and men shouldn’t consume more than 4. Do these numbers surprise you? Drinking beyond your weekly limit is considered heavy drinking. 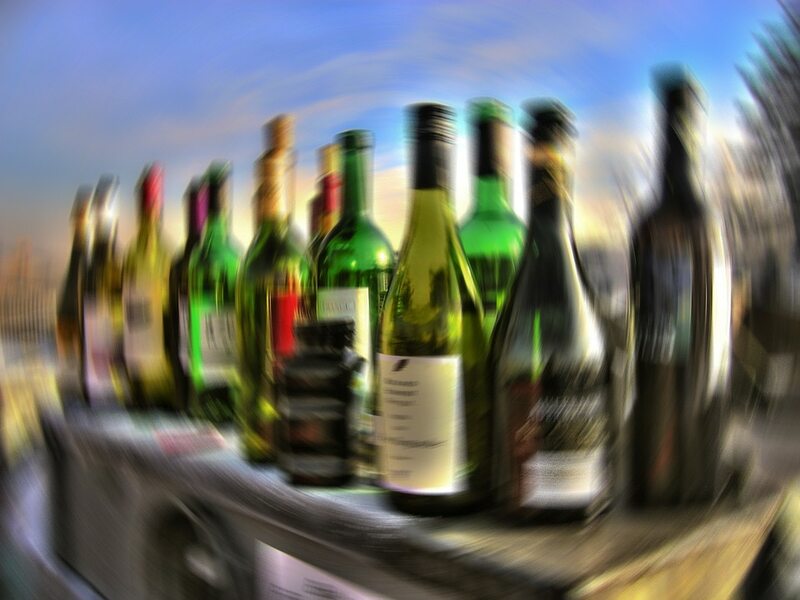 Drinking beyond your daily limit is considered binge drinking. You may need to consider your own habits and cut back if you’re exceeding these amounts. Write down your limits and put it somewhere that you can easily see. For example, you might tape a note to your bathroom mirror. It’s a good idea to make your goal less than the recommended amounts for safety. Tell friends and family about your goal to cut back. Be sure that you’re surrounding yourself with people who will support you and keep you accountable. Bring limited cash when you go to the bar. You can’t drink more than the money you have to spend; so safeguard yourself before you’ve had any alcohol. Drink slowly and get small amounts at a time. Under no circumstances should you participate in drinking games or challenges. These usually lead to binge drinking and can have harmful consequences. See a professional. If you’re having difficulty staying within your goals, you may have an addiction. You can try a variety of methods from accountability partners or groups to counseling to either curb your habit or cut it out altogether. While you might not like the latter idea, your safety and health should be more important than one night of pleasure. Consider abstinence anyway. The best way to make sure that none of these alcohol-related health problems happen to you is to abstain from drinking. Most experts recommend that if you don’t drink already, there’s no reason to start. In addition, by breaking your drinking habit, you can have a positive influence on young people and other adults around you, showcasing your focus and self-control. Americans need to learn how to drink responsibly or not at all, and the recent rise in alcohol-related emergency room visits supports that need. If you’re not careful with your habits, the next ER visit just might be you. Do yourself and your loved ones a favor by understanding your limits and taking precautions.